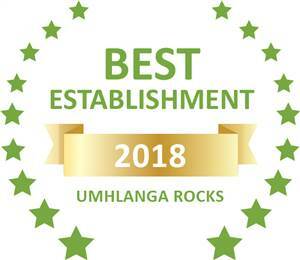 Based on reviews of establishments, Crooked Tree Cottage has been voted Best Establishment in Umhlanga Rocks for 2018. Now into its 15th year, Crooked Tree Cottage continues to offer great value accommodation in Umhlanga Rocks, premier tourism hotspot in KwaZulu Natal, South Africa. Close to the beach and Gateway Shopping Centre, with easy access to the M4 and the N2. King Shaka airport is a mere 15km away. 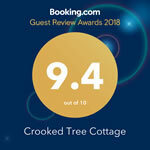 All this and more makes Crooked Tree Cottage an ideal place to stay as a Leisure or Business traveller. Crooked Tree is walking distance to Umhlanga Village or the main beach. But if you are not feeling too energetic, there are shuttle services and Uber, readily available to whisk you to your destination of choice. Crooked Tree also offers FREE high-speed WI-FI throughout the property - stream to your hearts content! Come join us – stay self catering or bed only. Or, if you want to indulge in one of our famous breakfasts, stay as a B&B guest. Vegan options are now also on offer. Book online or call direct - we look forward to hosting you!